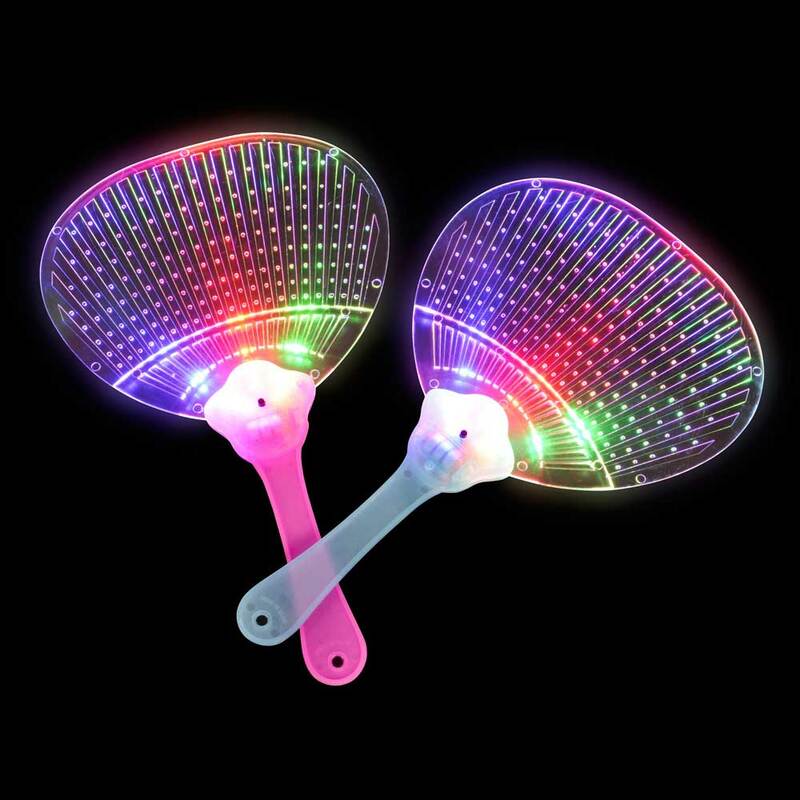 Keeping yourself cool with this light-up hand fan shouldn't be a problem! Awesome colors flash while you fan! So take out the strenuous work of fanning yourself because this hand fan gives great airflow with minimal effort! Not to mention you'll be creating stunning light shows while you do it! 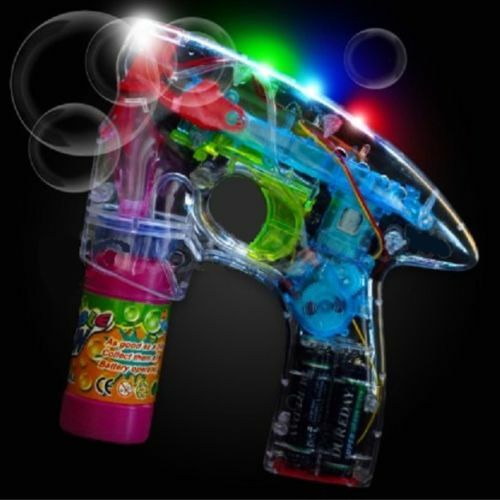 Comes with 7 fun modes including a strobe mode, where you can wave this fan around and make cool rainbow effects! Super bright and easy to see even during the day! A great Gift Idea! These fans make great gifts for any occasion and are great for that hard-to-shop-for concert or rave goer. If you're looking for a really cool gift, look no further! 3 bright LEDs at the base shine outwards to make a rainbow effect on the clear fan! Lots of wind for minimal effort! Comes with 3 batteries already preinstalled! Batteries are very easy to change!